Very cold weather settled over Colorado and New Mexico the first three days of February, 2011. This made for a perfect day to visit Rifle Falls in western Colorado. 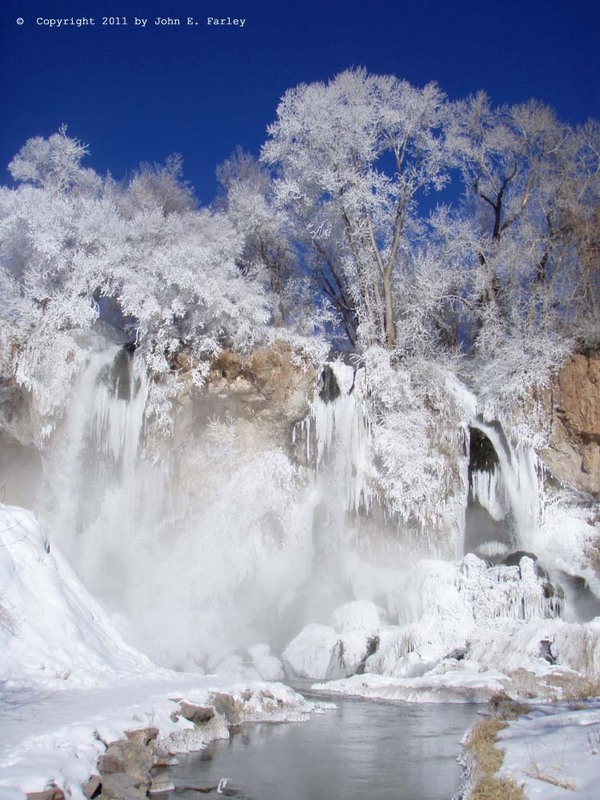 With the temperature at -4 and a deep, blue, clear sky, conditions made for a spectacular scene, with the trees above the fall coated by the mist from the falls which instantly froze onto the trees. The mist, ice, and coated trees against the deep blue sky made for an almost other-worldly scene. 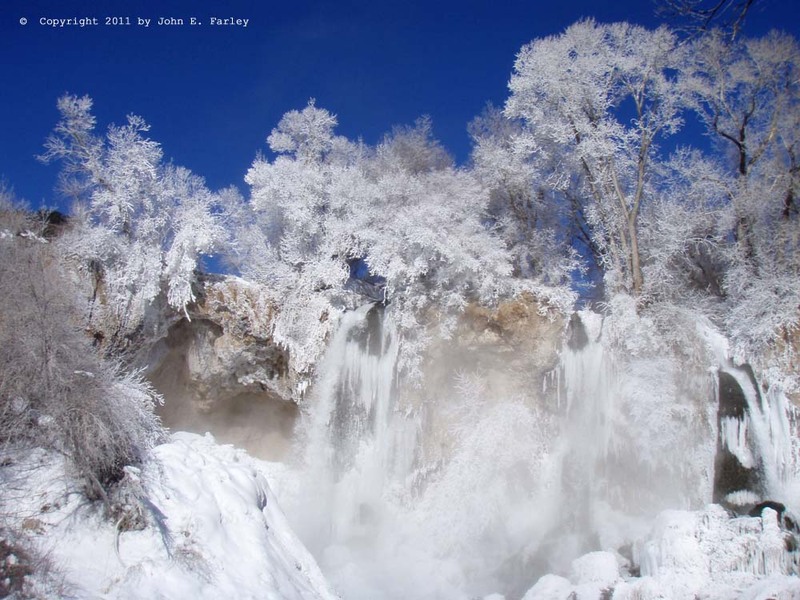 Despite beautiful scenes like this, the extreme cold did cause a lot of problems in this region. In New Mexico on February 3, for example, 35 cities in New Mexico experienced record lows, with three cities (Angel Fire, Pecos, Moriarty) recording temperatures lower than -30. Rolling blackouts in Texas, where many record lows were also recorded, caused compressors to go down at several natural gas distribution sites in Texas that serve New Mexico. The result was a loss of gas pressure in the pipelines, causing citywide natural gas outages in Bernalillo, Espanola, and spotty outages many other places - causing tens of thousands of New Mexico homes to lose heat on one of the coldest nights of the year. As of the evening of February 3, the governor has declared a state of emergency, and nearly every state college and university has announced it will be closed February 4 - as will schools in all of the states large school districts.